Renderings of the proposed housing for ballot question 6A for the Aspen Fire Department. 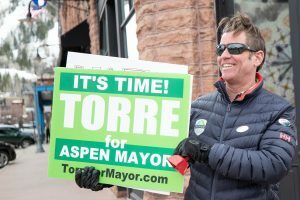 If ballot measure 6A passes, taxpayers will spend over $1 million per apartment that the Aspen Fire Protection District plans to build for its firefighters. Aspen Fire Chief Rick Balentine said the department wants to build 12 to 14 apartments and townhomes on land the district owns at the North 40 substation. The units would range from 1,000 to 1,500 square feet. Balentine estimated the housing project will cost $16 million, or about $720 a square foot. 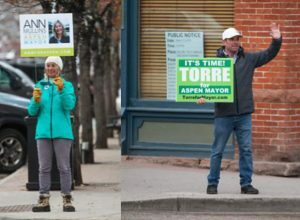 By way of comparison, the city of Aspen’s cost to build a 700-square-foot one-bedroom unit on land it owns is between $475,000 and $575,000, according to Chris Everson, the city’s affordable-housing manager. 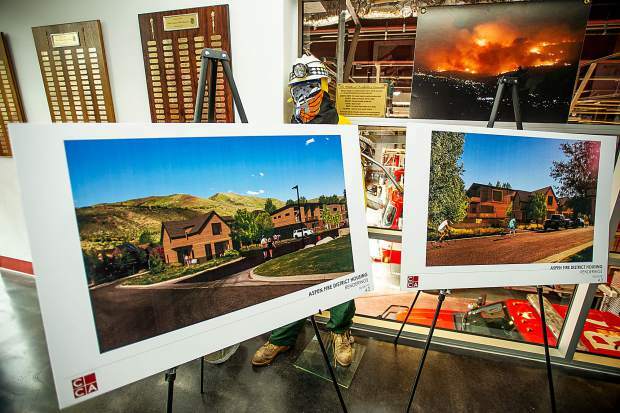 The Snowmass-Wildcat Fire Protection District just built four 400-square-foot apartments in its new station at $492 a square foot, or $200,000 a unit, Fire Chief Scott Thompson said. Ballot question 6A asks voters to increase property taxes as much as $3.3 million in the first year then a 1.325 mills for the next 19 years for a total of $54.8 million in new revenue, according to Balentine. That money would pay for firefighter housing, as well as replacing fire trucks, emergency equipment and other capital needs. It also would cover additional paid staff to support the volunteer department and establish an emergency disaster fund. Balentine said the disaster fund would be different than the $150,000 budgeted every year by Pitkin County for initial attack efforts on a fire. “I don’t think it’s redundant at all,” he said, when asked about having two funds. The disaster fund would be a reserve for emergencies and the fund would grow over time, Balentine said. He said he plans to set aside roughly $50,000 a year if the mill levy increase passes. “My goal is to put money away for the next 10 years,” he said. Balentine also noted that the Colorado Taxpayer Bill of Rights mandates that the district have no less than 3 percent of its budget in savings, which would be $159,000 a year if the mill levy proposal passes. The fire district is asking voters to more than double its budget, which for 2018 is $2.2 million. Currently, an existing mill levy brings in just over $2.1 million annually. But that won’t be enough come 2021 or 2022, when capital needs will put the department in the red, according to district board president Karl Adam in an interview on GrassRoots TV. Balentine said Thursday that he estimates five trucks will need to be replaced in the next decade. They cost between $500,000 and $700,000. A ladder truck, purchased in 2008, cost $1.3 million and has a life of about 20 years, according to Balentine. Aspen Fire has a total of 11 fire engines in its fleet. 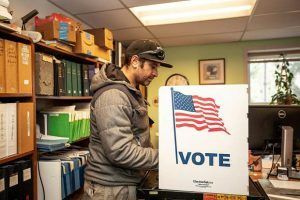 A small portion of the additional $3.3 million that would come in annually if the ballot measure passes would go to capital needs in the fire district’s buildings, such as boilers and maintenance. Balentine said he’s trying to set the district up for success and protect the volunteer model for decades to come. That’s why additional paid staff is needed, he said. “My challenge is having the right balance between staff and volunteers,” he said. Balentine and the district board wants to create a full-time training position for firefighters, and possibly one or two full-time firefighters to serve as 24-7 backups to the volunteers. Balentine estimated that the annual salary for a full-time firefighter is between $65,000 and $75,000. He didn’t have a figure for the full-time training position. Any other additional paid staff positions would have to be discussed by the board, and no others are currently being planned, Balentine said. There are six paid staff positions within the district currently, and 36 or 37 volunteer firefighters. Balentine said the department averages about four service calls a day. The 2018 budget for personnel expenses is $840,000, of which nearly $600,000 is salary. He added that many of the paid staffers are taking on more responsibilities as the department increases its services like offering wildfire assessments on homes, life-safety inspections and preplanning for commercial buildings. Balentine said there are no plans to take Aspen Fire to a paid department. The property tax increase also would cover the estimated annual $550,000 hit the fire department is expected to pay because of restrictions set by the Gallagher Amendment. In 2017, Balentine said the district lost 10 percent of its budget due to Gallagher. “We are asking voters to make up for that loss,” he said. The district will continue to pay for volunteer benefits, which include 100 percent paid health insurance coverage and contributions to a pension fund, among other benefits. They account for $282,000 in the 2018 budget. Ballot question 6A asks for the 1.325 mill levy for 20 years. After that, it would be reduced to 0.9 mills. That would be in addition to the existing .875 mills that has no sunset. So for the next two decades, the fire district would have about $5.3 million in annual revenue if question 6A passes. There is no formal opposition group formed against question 6A. Balentine said if there is excess money left over, the board would reimburse taxpayers, as they have in the past when there have been surplus years. “Our district board has been very good stewards of taxpayers’ money,” he said. 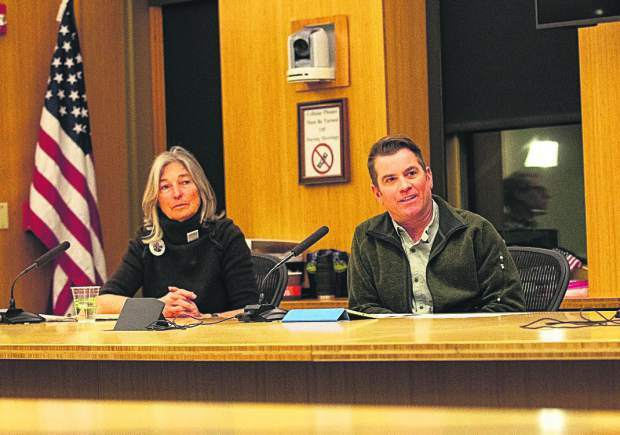 Balentine added that Aspen Fire has one of the lowest mill levy rates in the state for districts, and still would with the proposed property tax hike. Balentine added that the district isn’t in dire straits. 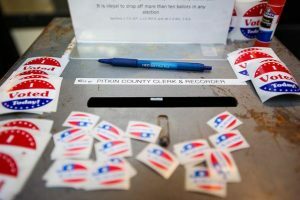 Editor’s note: Because of a reporting error, the amount of revenue that Ballot Question 6A would raise over 20 years has been reported incorrectly. If approved, 6A would raise $54.8 million over 20 years, with $3.3 million in the first year and then a mill levy of 1.325 which would equate to about $51.5 million over 19 years.